The main objective of this proposed symposium is to identify sustainable forest management practices and policies that can address the changing conditions in the HKH and propose a way to meet the current challenges in the mountain forest sector by addressing conservation and inclusive development simultaneously. 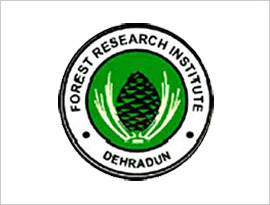 Establish common understanding of forest ecosystem dynamics and the management of mountain forest ecosystems in the Hindu Kush Himalayas to set the research and development agenda at the transbounary scale. Promote global, regional, and national knowledge networking, research and development, partnerships, and cooperation for influencing policy, science and practice. The symposium aims to develop a common understanding of the status of mountain forests of the HKH and explore and consolidate policies, strategies, research and practices that can help the HKH strengthen the role of forest sector in addressing conservation and development issues of the region. As this is the first ever mountain-specific forestry symposium in the HKH, ICIMOD will get the credit for bringing relevant issues of forest development to the regional forums (such as SAARC, World Forums of ISCO, IUFRO, WFC). The first impact-based partnership in the forest sector of the HKH will further increase ICIMOD’s profile and visibility. Lessons learnt about policy, science and practice can help promote ownership for upscaling/outscaling. Regional networking of RMCs on the subject can be initiated.